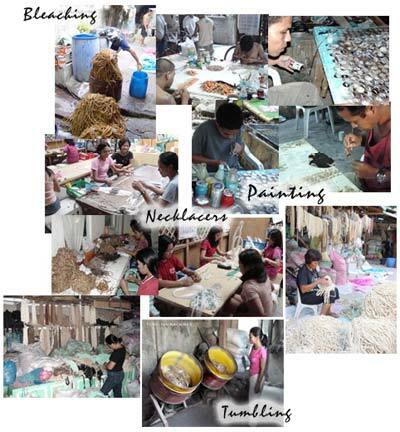 Natural Beach Summer Accessories is a subsidiary of Bedido Fashion Jewelry, one of the leading Manufacturer and Exporter of Philippine made handicrafts. We can assure you top quality items, all handcrafted to perfection. We are based in Cebu City, Philippines. We have the edge of being based in a country that boasts of its rich natural resources and skilled people. We offer very competitive prices specially for wholesalers. This site contains an online catalogue with clear and sharp item pictures of our products, so that you may conveniently shop anytime,anywhere. You may also download digital catalogues upon request. We have also established a strong customer service and sales support system that deals mainly on client needs. We are also constantly updating this site with fresh new contents. More item pictures and categories are soon to be included on this site. For wholesale orders and other matters, Please do contact us.